Why some games shoot up and others do not get traction depends both on marketing and the know-how of game development. For Cracow-based EVERYDAYiPLAY the success came quickly for its first game Vikings Gone Wild (hat tip to Richard Lucas). So I caught up with Vincent Vergonjeanne, the CEO and founder of EVERYDAYiPLAY to understand what is behind the up-and-coming success story. A few words about the game: Vikings Gone Wild is a multi-player fighting and building game that puts the player in a position of a chief of the village to defend it from enemies, and to attack other villages. Players can join guilds to fight other guilds. The Viking characters are hilarious, but I did not play the game itself. It is available on Facebook and it will be released on iPad in 3 weeks and on Android devices in December 2013. What defines the startup success is a mixture of experience, art of game design and clever distribution strategy. Prior to moving to Cracow to develop Vikings Gone Wild, Vergonjeanne has been running his previous social gaming company Kobojo in France that in 2011 raised 5,3 million Euro in Series A funding. In December 2012 Vergonjeanne left Kobojo, moved to Cracow, Poland and founded EVERYDAYiPLAY set to develop social games. To create Vikings Gone Wild he followed his main principle of selecting a small team of exceptionally talented game designers and developers. By now there are 11 people in the team, all based in Cracow. The second principle was to remain independent from external investors, and avoid a lock-in with a publisher if possible. So in July 2013 the company signed a partnership deal with Facebook which has featured the game briefly in July, and followed with a larger feature in the middle of October this year, driving traffic to 800,000 users. Final principle was introduction of the social features that kept user engagement at the high level, and those social features within the game include formation of unions (guilds) amongst others. 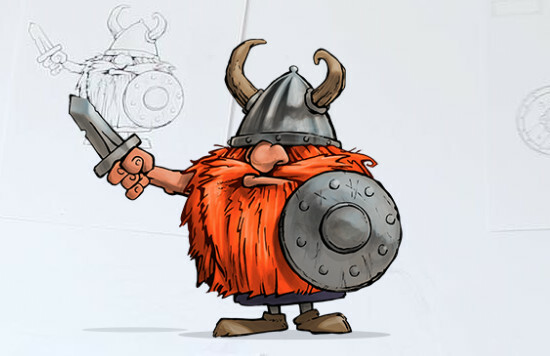 Going forward the company, conveniently cash-generating that will keep it independent from the external investors, plans to build on the success of the Vikings taking it to other platforms including consoles. This, is one more success story to add to our modest CEE collection, and we will certainly look out for more teams (and time to write the stories) that have been successful within and outside Eastern Europe.